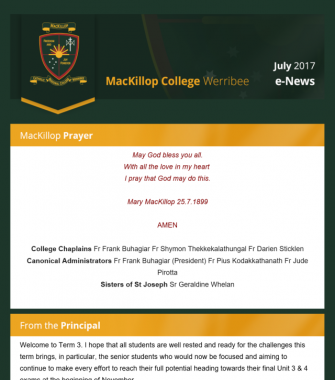 MacKillop has successfully launched its new email e-news service. Over the next few months you will see changes to the look and feel of this e-news service and hope this will enhance the sharing of the College community news amongst all our families and alumni. 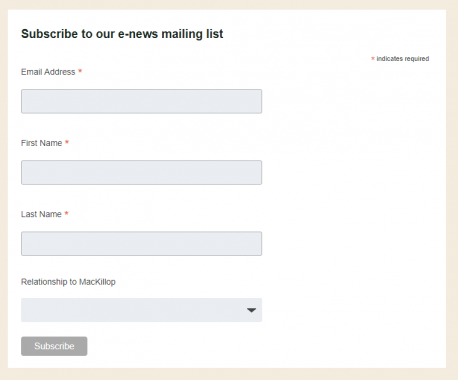 If you have not received this email news then go to Latest News > Newsletters on this website and subscribe.